Remember the Bank of America ReconTrust injunction in Utah? (Salt Lake City, UT) – The case of Peni Cox vs. Bank of America’s ReconTrust Company will be reheard in Utah District Court by Judge Clark Waddoups Tuesday, August 31, 2010 at 8:30 am. The central issue is preemption of Utah law which previously arose in the analysis of the court’s jurisdiction, according to attorneys John Christian Barlow and E. Craig Smay. Barlow and Smay contend the court relied upon the wrong statute, producing an erroneous conclusion of preemption. The Plaintiff’s attorneys have asked the court to correct its finding and remand the matter to state court. American on our first and second mortgage. who can I contact in New Jersey for help? I am so overwhelmed, I dont’ know where to start. EVERYONE TELL OBAMA TO CRASH THE BIG BANKS NOW! 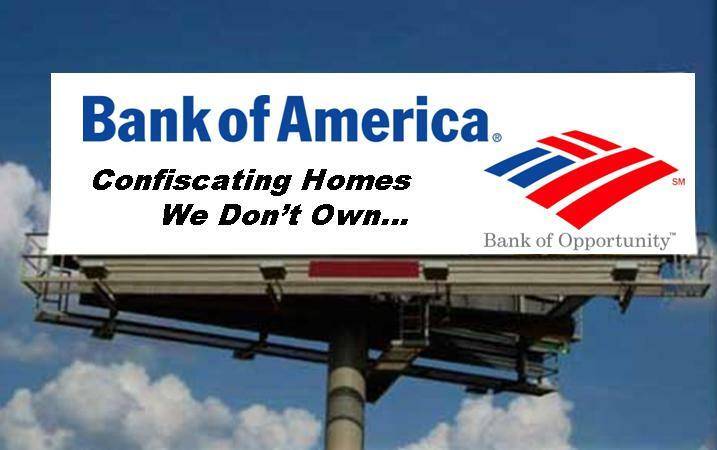 The Fed and their complicit banks must be abolished to save the Republic! The sooner the better. Why don’t we ask a 3rd grade math student what he thinks? The real problem is that a politician who could do something about it has his own mathematical challenges about healthy economies. “Bite the hand that feeds him” (by indicting Banksters), or make millions putting children in the streets for power and profit. Apparently ALL politicians are going to make the same choice over and over again. They have always sold the souls of your children and their future and they always will. Take the big Banksters out of the picture. Build a local banking system that cares about its community and helps it thrive instead of sucking the life out of it by bribing and fixing the entire system for itself, taking us all of a cliff with it. Crash all the big banks now. Create new local Banks only = No more Wall Street Banksters. We hired 1st American Law in Oceanside, California to get us a loan modification. We paid 1000 usd to get a loan mod. but here we are 9mths. later and we have been Foreclosed on. Now what we dont have the money to fight it so we are sol. Our mortgage was written by Countrywide Home Loans, and was sold to B.O.A. Yes, But we were told by 1st american law not to make any more Mortgage payments because they would be forgiven when the modification and new mortgage were written!! !